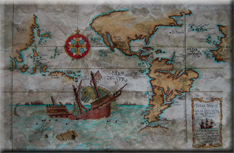 Ancient style maps, wall art, & mural Commissions. Western and Equine Art Current Photography Exhibit Incised-Metal Ltds. 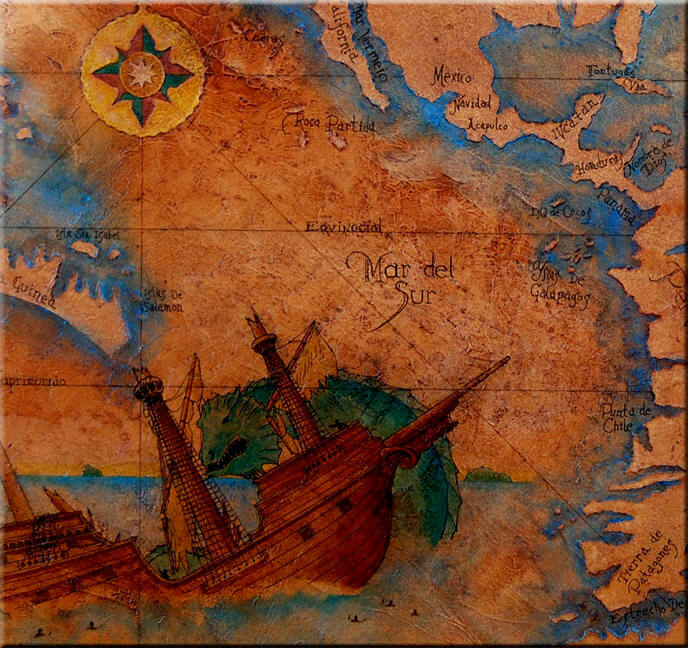 "Carta Marina 1" (El Puerto Escondido) A fanciful trip to the the areas of the Gulf of California, in 1524, original on hand-made wood fiber paper, 13 1/4 x 23 1/2, custom-framed, $ 2,600.00. Giclee prints available. 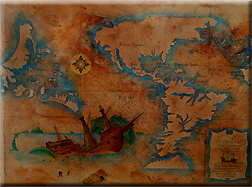 "Carta Marina II" A map of the area of the West Indies, original on hand-made wood fiber paper, 13 1/4 x 23 1/2, custom-framed, $ 2,800.00. 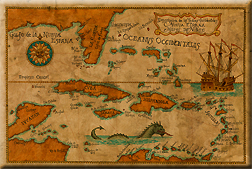 Giclee prints available. 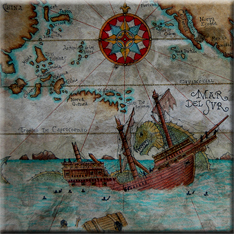 "Carta Marina III" A map of the known world. 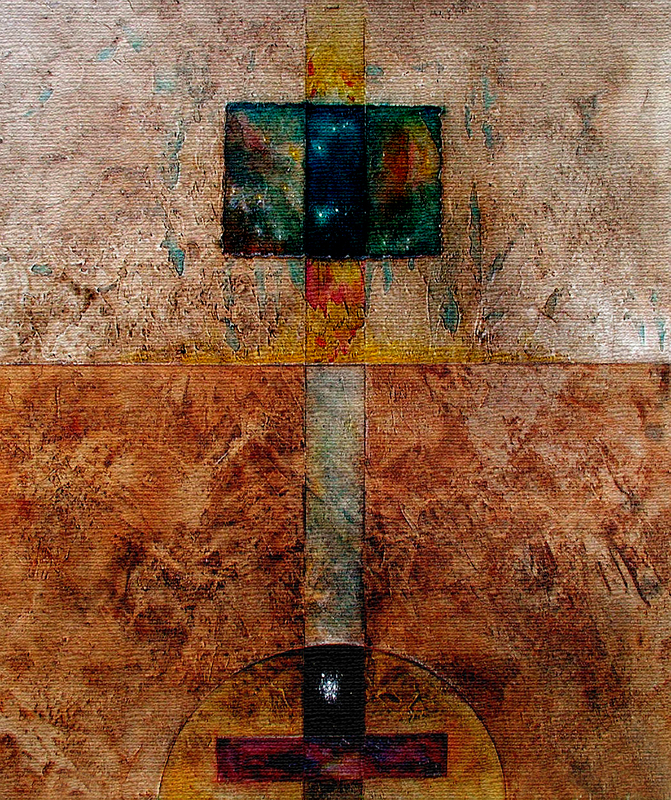 original on hand-made wood fiber paper, 13 1/4 x 23 1/2, custom-framed, $ 2,800.00. Giclee prints available.